As part of the Christmas presents for my nephews, I decided to make them each their own t-shirt using my Cricut and the white Iron-On Vinyl. 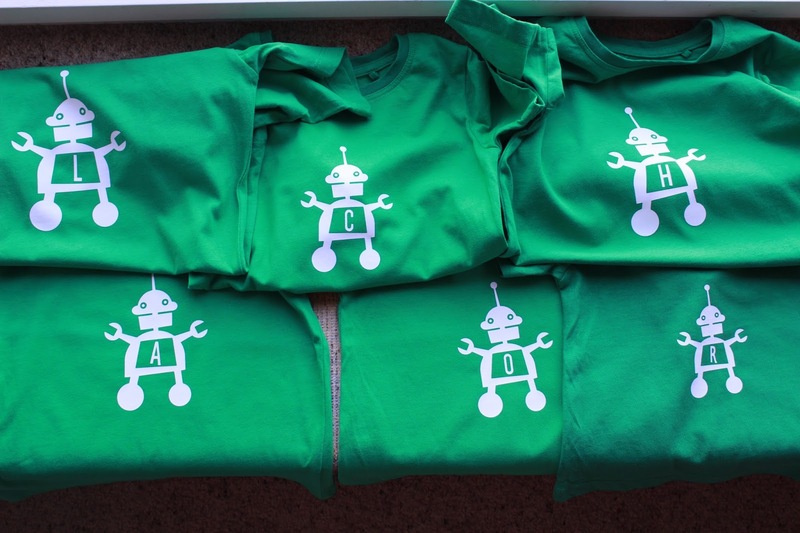 I purchased some green T-shirts, and set about designing a robot image using the Robotz Cricut Cartridge. I then simply welded each nephew's initial into the centre of the robot's stomach, and sized each robot according to the T-shirt size. To get the correct robot size for each shirt, I measured the length of the T-shirt and divided that by 2.25. I then used that measurement as the height for each robot, which kept the ratio even across all the shirts. I used the instructions that came with the iron-on vinyl to mirror image cut each robot, then adhere it to the T-shirt. 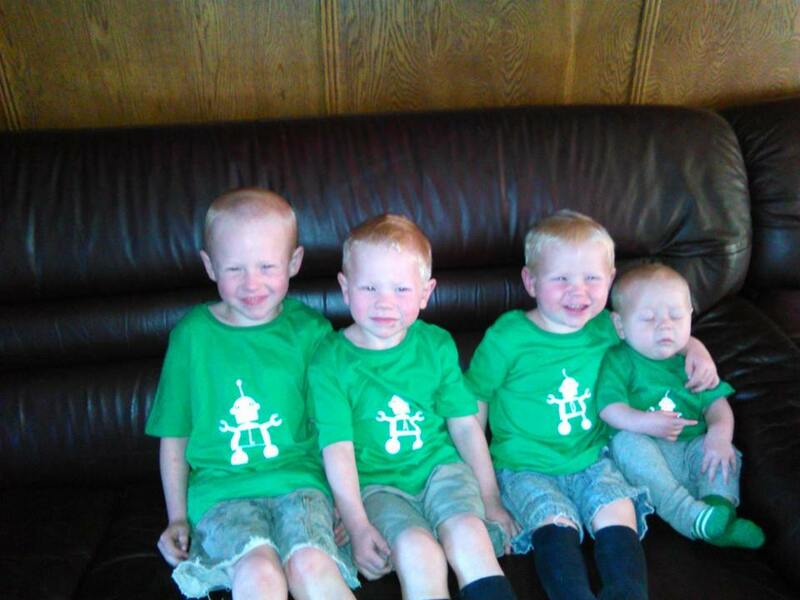 My nephews were very happy with their new shirts! This is a project that could easily be adapted for different themes or with more girly images. I have lots more projects planned- check out this Frozen Tote Bag I also created with the Iron-On Vinyl.